Market management agencies have warned that a number of mooncakes available at throwaway prices in Vietnam have been found with no expiry dates, meaning they could well be made last year or even earlier. The low-cost mooncakes, advertised as originating from Taiwan, Hong Kong, and mainland China, are mainly available on online shops, when it is less than two months from the Mid-Autumn Festival. Accordingly, a box of 130 such cakes is on sale for only VND300,000 ($12.9), meaning one cake costs slightly above VND2,000 ($0.08). Some of the Chinese cakes are even sold in kilograms, fetching about VND80,000-175,000 ($3.44-7.53) per kilogram. The mooncakes have a wide variety of flavors from sweet, such as strawberries, mangos, oranges, and red beans, to savory.  Tuoi Tre (Youth) newspaper contacted a Hanoi-based mooncake seller on the phone and was told by a woman that her products are readily available for any request. According to this seller, people can resell the inexpensive products at any prices they want, regardless of the prices charged by mainstream bakery brands. On Thursday, one day after Tuoi Tre published an article about the unusually cheap mooncakes, a unit under the Hanoi Market Management Department inspected an establishment named Huyen Trang in Hoai Duc District and confiscated more than 14,000 ‘super cheap’ mooncakes. The facility’s owner failed to show any invoices or proof of origin for the products, which were on sale for only VND2,000 ($0.08-0.13) per cake. 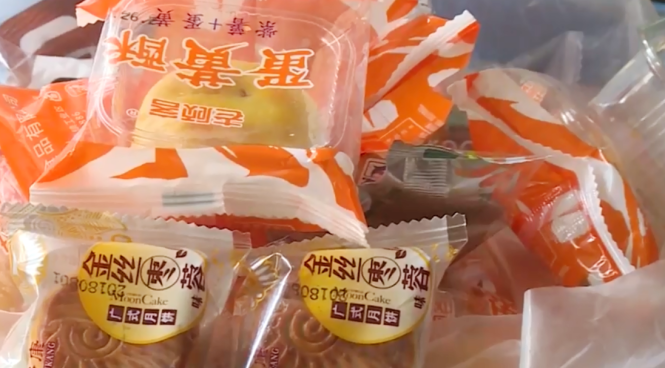 Many other confectionary products with Chinese characters on the packages were also seized as they all indicated no expiration dates, according to officers. Nguyen Huy Cuong, head of the market management team, said that the unit would continue to keep an eye on the import and trade of cheap mooncakes of Chinese origin in the capital. A production manager of a confectionary company said that the cheap mooncakes could be unsold inventory from last year’s Mid-Autumn Festival. Wheat flour, one of the main ingredients to make the delicacy, already fetches at least VND10,000-12,000 ($0.42-0.5) per kilogram, not to mention the fillings, which cost a few hundred thousand dong, he explained. Therefore, it is impossible for a 100-gram mooncake, to be priced less than VND30,000 ($1.26), even when it is made with the cheapest possible filling, he concluded. The mooncakes that fetch only VND2,000-7,000 apiece would barely ensure hygiene, the manager said. Citing the same price breakdown, Nguyen Ngoc Thuy, owner of confectionery brand TL, said one single cake is stored in a plastic cake wrap and a plastic packaging, plus a desiccant packet, collectively worth no less than VND1,000 ($0.04). On the other hand, prices of raw materials such as salted eggs and labor costs all increased due to the impact of the exchange rate this year. “As a matter of fact, the minimum cost price for a mooncake must be more than VND1,000,” Thuy asserted. Many manufacturers said that despite efforts to reduce production cost, the price of mooncake was inflated at least five percent over the last year. According to Cuong, mooncakes introduced as "Taiwanese goods" are more likely to be produced in China, then transported to Vietnam by road. If the goods are genuinely from Taiwan, shipping costs to Vietnam will be so high that they will never be able to be on sale at such a dirty cheap price, Cuong said. In fact, materials to make a mooncake are available in many types at different quality. Therefore, consumers need to be cautious on online sales channels selling "homemade" mooncakes at low prices and are advised to buy from reputable suppliers, according to industry insiders.